How can we see Carbon Nanotubes? 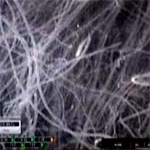 In this video we can see carbon nanotubes by looking through different types of microscopes. We also see how the structure of carbon nanotubes change when produced by different methods.